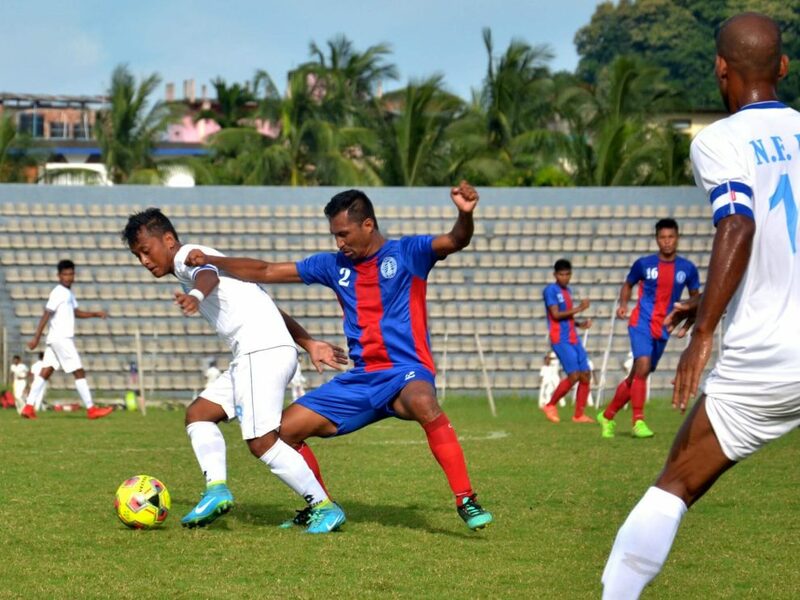 GUWAHATI: Defending champion Assam State Electricity Board Sports Club (ASEBSC) made a solid start in the RG Baruah Super Division Soccer League thrashing North East Frontier Railway Sports Club (NFRSC) 4-1 in the opening tie at the Nehru stadium here today. The winner was leading by a solitary goal at the first half. ASEBSC, which recruited several new players in the team this season, looked positive from the very early stage of the game. However they utilized most of the opportunities in the second half. The match was 16 minutes old when Akran Narzary put ASEBSC ahead and the side managed to hold the lead till the lemon break. In the second half ASEBSC increased their attack and were successful to pump in three more goals through Jwmbla Brahma (2) and Raghu Nath Boro. Jwmbla scored twice in 51 and 79 minutes of the game while Raghu Nath added the other one in the 70th minutes. NFRSC reduced one through Sibra Narzary in the 65th minutes. Sibra could score another goal in the match as his side was awarded a penalty but Daoga Brahma, the goalkeeper of ASEBSC, made a brilliant save of his shot. Tomorrow’s match: Assam Police Blues vs FC Green Valley.